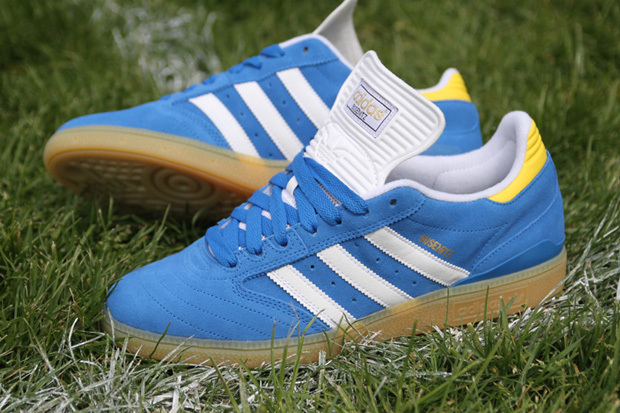 hello saskatoon: adidas Busenitz "Blusenitz"
This is my favourite Busenitz colour way so far. 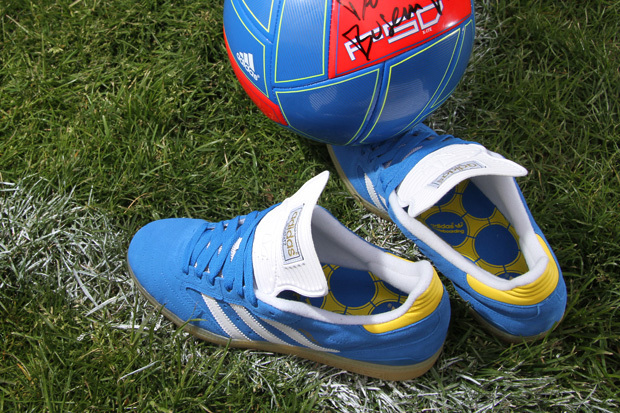 Not only is it Dennis Busenitz's model but it is designed after one of adidas most iconic soccer boots, the Copa Mundial. The (optional) tongue makes the shoe unique and stylish and the colour is perfect for summer. I've never owned a pair personally, but I only hear good things about them. A very sporty yet trendy footwear for the casual look. It was among the highest selling mens casual shoes according to FootLocker's year ender survey.